Vivo has been one of those Chinese smartphone manufacturers who has managed to gain so much popularity in a very short period of time, especially in India. 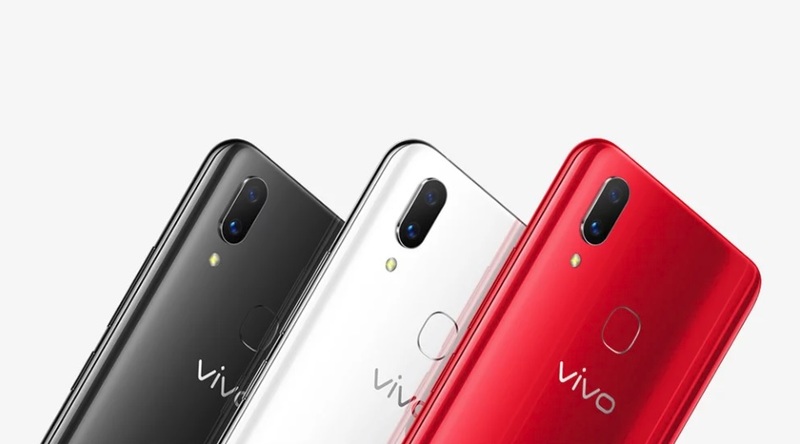 Until now, the company was well known for its best camera phones but now Vivo seems to be pushing things up with its latest smartphones. For instance, we can take the Vivo X21 which has been recently launched in India and packs some great stuff under the hood. So, if you are making your mood to buy an Android smartphone in next coming days then here I would suggest you have a look on the Vivo X21 smartphone and my Top 7 reason to buy Vivo X21 which I have listed below. The Vivo X21 doesn’t look as striking that could simply blow your mind but still, it does feature a design which looks so clean with its sleek body. It features an all-black aluminum frame and a glass back with tapered edges, which make it very comfortable to hold. The Vivo X21 doesn’t feel as premium as the Galaxy S9 or the Huawei P20 Pro but still, Vivo has nicely managed to offer a premium feel with Vivo X21. It is also less slippery and catches fewer fingerprints. Because it has an In-Display fingerprint sensor placed under the display the back of the phone looks so clean and provide a better look at the device. The Vivo X21’s comes with a nice looking display but sadly there is ‘Notch’ for those who don’t really like this design element. However, the display looks great featuring a 6.28-inch full-HD+ (1080×2280 pixels) Super AMOLED screen with a 19:9 aspect ratio and a 402ppi pixel density. Even it’s only Full HD display you won’t find much difference in overall viewing quality while watching videos and exploring images when placed side by side with any of the other premium device like the Galaxy S9, OnePlus 6 etc. However, Full HD is still good enough and the colors look vibrant and sharp on the display. The display is also really bright and makes it really easy to see things even when you are in broad daylight. The Vivo X21 is the first smartphone in India to come with an Under-Display Fingerprint sensor and that’s something we could say is the biggest highlight of the Vivo X21. If you remember, Huawei was the first to introduce the Under-Display Fingerprint sensor with its Mate RS smartphone but that’s too expensive to afford if you are looking for a device under 40k price tag. But Vivo has managed to beat other big smartphone manufacturers like Google Apple, LG, Motorola and Huawei to the big punch at this point. So, if you want a phone with In-Display fingerprint sensor at a cheaper price then you should definitely have a look on the Vivo X21. A good camera is indeed a big part of any smartphone success and of course, Vivo has been a company known for its best smartphone cameras and that’s why Vivo X21 decent performance camera setup which has a dual rear camera setup, with the 12-megapixel primary camera featuring an f/1.8 aperture and a 2PD (Dual Pixel technology) Samsung S5K2L8 sensor. The secondary camera used is a 5-megapixel. Other camera features include, Slow Motion video recording, AI HDR, Portrait and Bokeh, Live Photo, AR Stickers, and Shot Refocus features for the rear camera. On the front, it sports the same 12-megapixel with an f/2.0 aperture which also includes Live Photo, AI Face Beauty, AI HDR, Portrait and Bokeh modes (single camera), and AR Stickers. Vivo X21 doesn’t come with the latest high-end chip like the latest OnePlus 6 has, which comes with a Snapdragon 845 chip but it does include Qualcomm’s Snapdragon 660 chip which comparatively couldn’t beat the Snapdragon 845 but despite being an upper mid-range chip, you wouldn’t notice any performance issues on the X21. Another reason you won’t be getting any major performance issue with the Vivo X21 is that the Vivo X21 comes with the 6GB of RAM which I think enough to get a smooth performance and multitasking on your device. The software seems a bit like what iOS has to offer. From the icons and the app drawer, and the quick settings menu at the bottom of the screen they all seem like iOS-inspired features. The Vivo X21 runs Funtouch OS on top of Android 8.1 Oreo and X21 is also a part of the Android P Beta programme running right now. The X21 gives you the option to switch to an all-gestures interface, instead of the familiar Android navigation buttons. Until now the quick settings were part of the notification drawer, accessible with a swipe from the top. But on the X21, you need to swipe up from the bottom of the screen to get to the quick settings. Last but not the least, the Vivo X21 comes with a price tag of Rs. 35,990 in India for the 6GB RAM and 128GB storage variant which seems comparatively a bit higher than the price of the recently launched OnePlus 6 and Honor 10, but the Vivo does stand out on some part of the specifications too. The OnePlus 6 which has been priced in India at Rs. 34,999 but the phone lacks here on the In-Display fingerprint sensor and also on the internal storage where you only get 64Gb of storage with OnePlus 6. The Honor 10, on the other hand, goes with the same like the OnePlus 6. The Honor 10 is indeed cost much cheaper than the Vivo X21 and the OnePlus 6 but also lacks on some part of the software and hardware which Vivo X21 offers. These were 7 reasons I thought you should know before you go for buying your next Android smartphone. I hope it will help you decide to take the better option available on the market today. However, the Vivo X21 is quite a nice looking phone with a pinch of premium touch and powerful performance. However, the final choice is always yours.